She played the odds and lost! When the beautiful girlfriend of a notorious gangster vanishes, the last man to be seen with her needs an alibi - and fast. Enter Donald Lam of the Cool & Lam detective agency. Donald tracks down the two women with whom his client claims to have spent the night and the client declares the case closed. But it's not. Something about his client's story doesn't add up, and Donald can't resist the temptation to keep digging. Before he knows it, he's dug up connections to a mining scam, an illegal casino, and a double homicide - plus an opportunity for an enterprising private eye to make a small fortune, if he can just stay alive long enough to cash in on it. 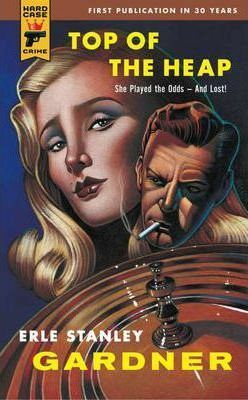 One of the best-selling authors of all time, Erle Stanley Gardner's greatest creations include crusading attorney Perry Mason (star of more than eighty novels, not to mention the long-running TV series and TV movies) and the hardboiled detective team of Bertha Cool and Donald Lam, who appeared in more than two dozen adventures of their own.